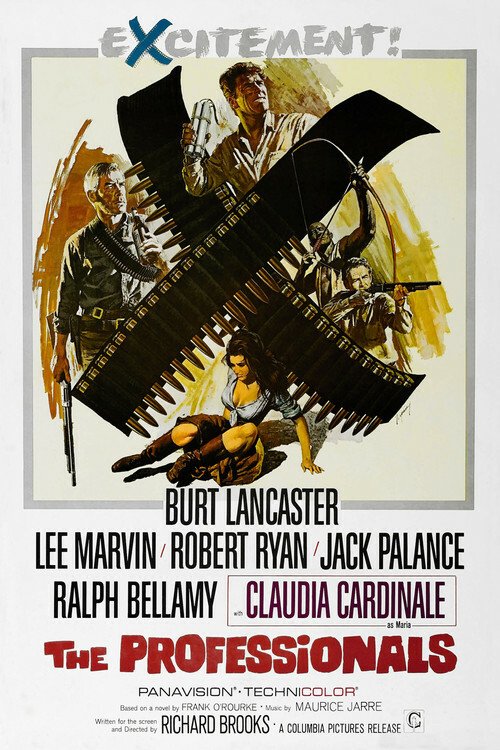 The Professionals is a well-made, fast-paced action-adventure western starring Lee Marvin, Burt Lancaster, Robert Ryan and Woody Strode. It's a sharp, witty caper flick with a team of amusing specialists engaged in a job—rescuing a rich man's wife from a Mexican revolutionary—that should get everybody killed by the end of the first reel but you damn well know won't. A sort of Ocean's Eleven, if you will, set in the Mexican desert. But underneath all the rousing action is a melancholy meditation on the end of things (in this specific case, the Mexican Revolution) that, to me at least, makes The Professionals both a sublime western and something other than a simple caper flick. 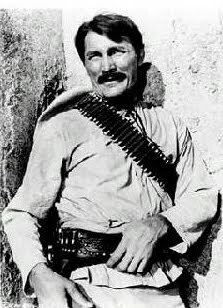 "La Revolución," Jack Palance says in a great speech toward the end of the film, "is like a great love affair. In the beginning, she is a goddess. A holy cause. But every love affair has a terrible enemy—time. We see her as she is. La Revolución is not a goddess but a whore. She was never pure, never saintly, never perfect. And we run away, find another lover, another cause. 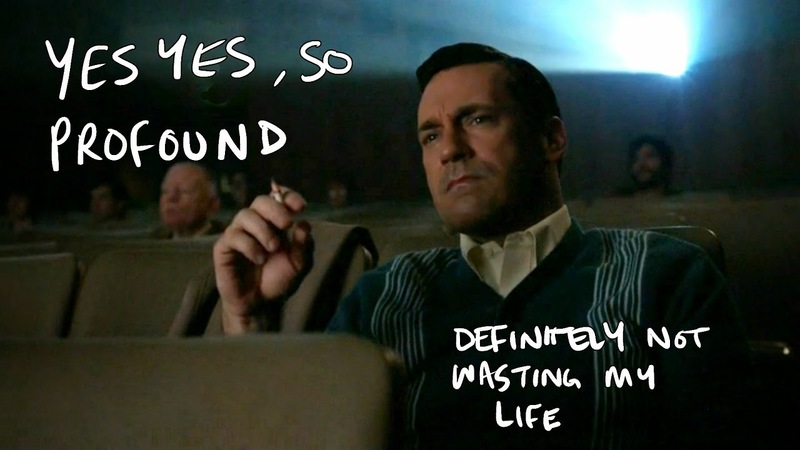 Quick, sordid affairs. Lust, but no love. Passion, but no compassion. Without love, without a cause, we are nothing! We stay because we believe. We leave because we are disillusioned. We come back because we are lost. We die because we are committed." 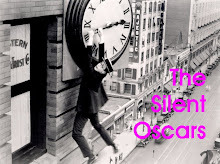 It's a very good western, and may be the best of a list of those that, despite its cast and three Oscar nominations, no one seems to have ever heard of. 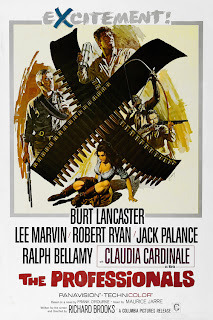 Written and directed by Richard Brooks, with Oscar-nominated cinematography by the great Conrad Hall. Oh, and Claudia Cardinale is spectacularly bosomy. My rating 4.5 stars (out of 5). 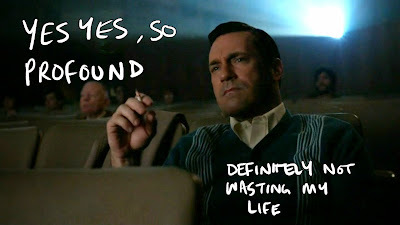 From the wonderful tumblr "Mad Men Screenshots With Things Drawn On Them."